Activist investment fund Starboard Value has purchased a 4.5 percent stake in AOL Inc. and have requested a meeting with company CEO Tim Armstrong to discuss what they consider to be strategic failings. In their letter the company calls AOL “deeply undervalued” while blaming the company’s huge operating losses on its ineffective advertising business. Starboard Value has also raised mounting concerns over AOL’s Patch.com hyperlocal news reporting system which continues to lose millions of dollars as the company attempts to expand into new cities and surrounding areas. The company’s concerns come at a time when Armstrong is attempting to turn the company into a content business much in a similar fashion to Yahoo, inch. Most notably the company has spent $700 million to acquire the likes of Huffington Post and TechCrunch among other company’s meant to strengthen their advertising and content development practices. 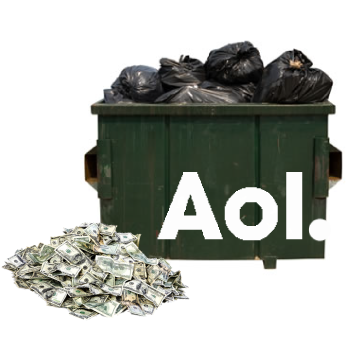 Starboard believes AOL could be losing upwards of $500 million per year from display advertising alone. Over the last two years AOL has significantly reduced costs, sold non-core assets, made significant investments for our future, and also recently repurchased over 10% of outstanding shares. AOL has a clear strategy and operational plan to provide our consumers and customers with exceptional value, which we believe will lead to the creation of shareholder value. Our Board and management team remain firmly committed to creating value for all shareholders and we will continue to aggressively execute on our strategy in 2012 as we continue the turnaround of AOL. Do you think AOL needs outside help in order to turn their business profitable or should Starboard Value trust that the company’s new trajectory will turn everything around.